Osmosis & Picmonic: seamlessly integrated! Osmosis is an efficient, enjoyable, and social way to learn. • A comprehensive video library with access to over 800 videos including complete coverage of pathology and physiology and a growing collection of pharmacology and clinical reasoning topics. 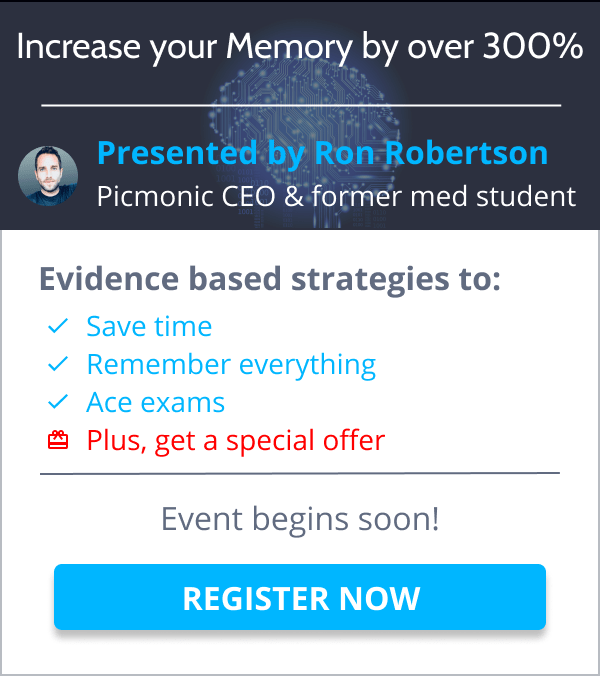 • Flashcards powered by spaced repetition. • Board-style questions to test and reinforce your knowledge. • Integration with other study resources. Mnemonic study aids to improve test scores. Picmonic turns important facts you need to know into pictures and stories you’ll never forget. • 1,400+ Picmonics covering 11,000 need to know facts. • Quizzing with 11,000 multiple choice questions. • Daily Quiz with Spaced Repetition (Auto-generated daily queue of study topics). • Personal Dashboard with customized study recommendations. 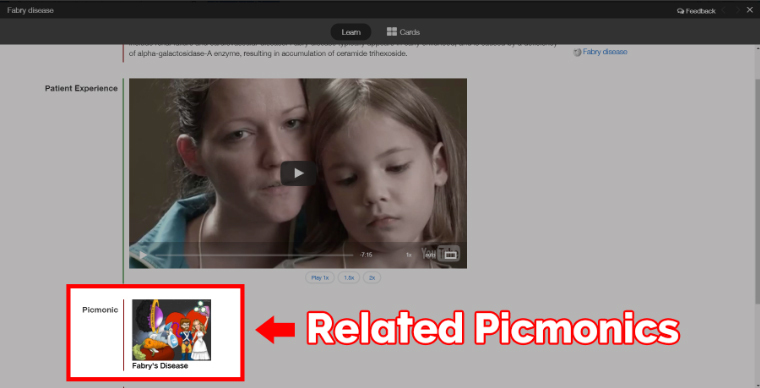 • The ability to add facts and create your own Picmonics. • The ability to create and share personalized playlists. • Web, iOS, and Android mobile apps. • Access study guides, webinar videos, infographics and more. You can supplement your studies on the Osmosis platform with high yield Picmonics for anything you’re struggling to remember. Picmonic increases exam scores by up to 50%* by using fact-to-phonetic-based characters and unforgettable stories to help you learn, and never forget. You have a lecture on sickle cell anemia today. 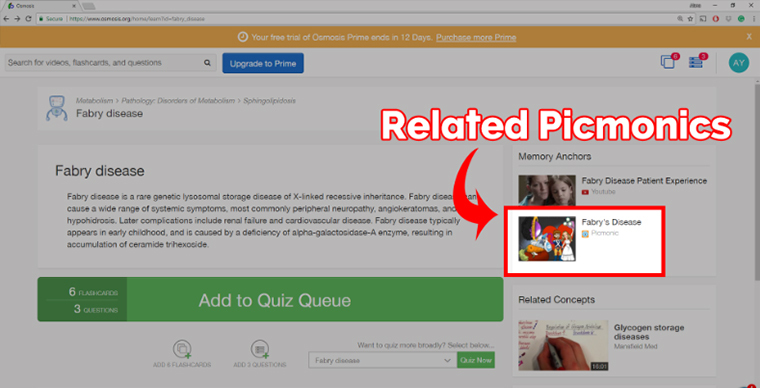 Osmosis “reads” your lecture and automatically recommends the three Picmonics describing the mechanism, signs and complications, and management of sickle cell anemia. *See the research behind Picmonic here.